Reform Judaism and Jewish tradition reject violence as a form of punishment. One of the most famous one-liners in the Old Testament is the succinct statement of justice: “an eye for an eye.” This edict occurs three times in the Torah--the first five books of the Bible--Exodus 21:24, Leviticus 24:20 and Deuteronomy 19:21. So powerful was this phrase that Jesus repeats it in the New Testament, though to repudiate it (Matthew 5:38–39). Historically, “eye for an eye” has been cited as evidence that Judaism is a cold religion in which law is more important than human compassion. But that characterization is untrue. Modern Reform Judaism, as well as traditional Judaism, takes a humane, practical approach to justice. To modern sensibilities, ripping out someone’s eye feels like brutal, primitive punishment. In the ancient world, however, this was eminently fair and restrained. At the time, the penalty for “an eye” might be two eyes, or even death. Torah law reined in this cycle of violence, limiting punishment for causing injury to no more than an equivalent injury. However, Jewish tradition, known as the Oral Torah, rejects even the apparent fairness of “an eye for an eye” in favor of penalties that don’t involve violence at all. 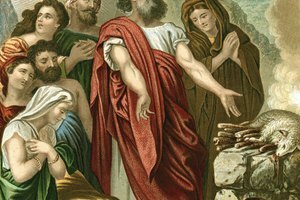 Sometime around the second century B.C., a new movement of Jews emerged known as the Pharisees and while they practiced strict adherence to Jewish laws, they emphasized their own interpretations of those laws, bringing ancient Torah principles in line with popular custom. Their arch-enemies were the priestly Sadducees. To the Sadducees, written law was sacrosanct, including “eye for an eye,” which they took literally. The Pharisees interpreted this Torah principle as a metaphor. According to the Pharisaic reading, the penalty for an eye was not another eye, but money--the value of an eye. The rabbis who authored the Mishnah, the first written compilation of the Oral Torah, spelled out a formula for the value of an eye (or any other injury). The amount paid is based on five factors: damages, pain, medical expenses, incapacitation and mental anguish. But this very modern view is undercut by how the rabbis determined these monetary amounts: by the worth of a slave. What would an uninjured slave be worth compared to an an injured one? As forward-thinking as these first-century rabbis were, the criteria they employed are still not relevant to the modern world. 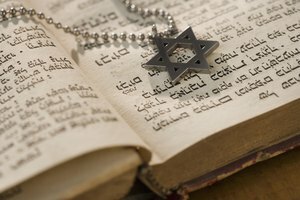 Reform Judaism originated in early 19th-century Europe and quickly spread to Jews around the world with the aim of allowing Jews to participate fully in society by adapting Jewish religious practices to the modern world. This reform extended to Jewish laws about criminal justice, such as “an eye for an eye.” The rabbinical money-instead-of-violence principle leads Reform Judaism to adopt a practical and humane view of criminal justice. It is, for example, the position of the Reform Jewish Movement to categorically oppose the death penalty, though written Torah law requires capital punishment for 36 different offenses, from murder to disrespecting one’s parents. The tradition of Jewish reform that goes back to the Mishnah abhors killing of any kind, and the death penalty was rarely carried out. This tradition remains in the Reform Movement of today. 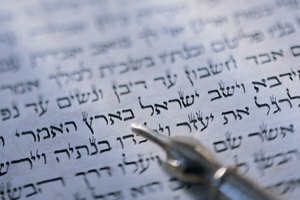 ReformJudaism.org: Love Your Enemy? No Way! Treat Him Fairly. Way! Jonathan Vankin is an award-winning journalist with more than 20 years of experience. He has written for such publications as "The New York Times Magazine," "Wired" and Salon, covering technology, arts, sports, music and politics. Vankin is also the author of three nonfiction books and several graphic novels. Does the Eastern Orthodox Church Allow Cremation? 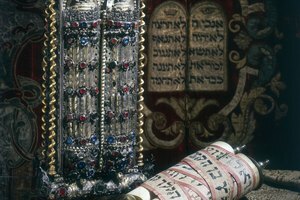 What Is the Special Significance of the Torah to the Jewish People? Vankin, Jonathan. 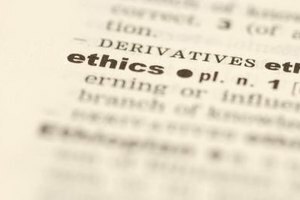 "The Torah Meaning of "Eye for an Eye" in Reform Judaism." 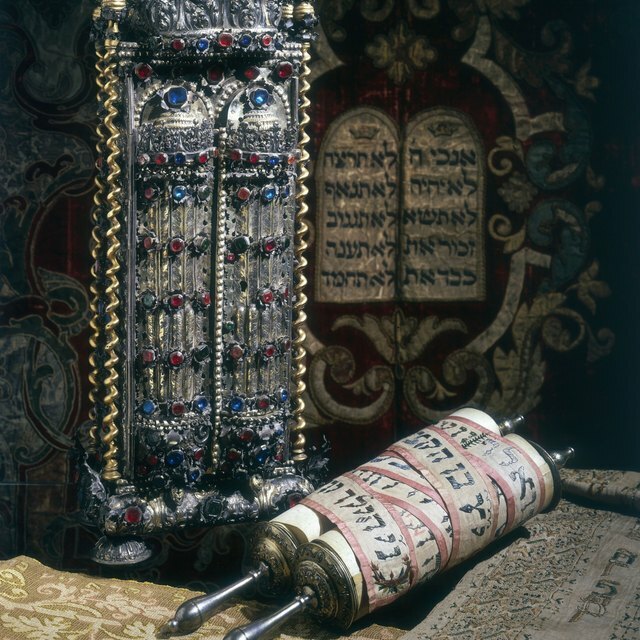 Synonym, https://classroom.synonym.com/the-torah-meaning-of-eye-for-an-eye-in-reform-judaism-12087659.html. 29 September 2017. 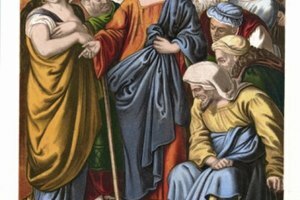 What Are the Beliefs of Pharisees?